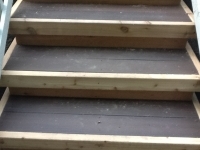 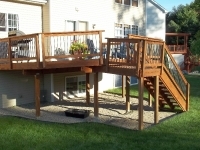 Supreme Deck specializes in everything pertaining to decks. 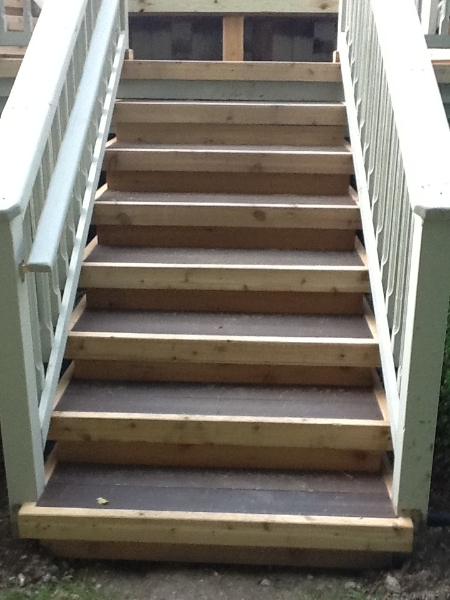 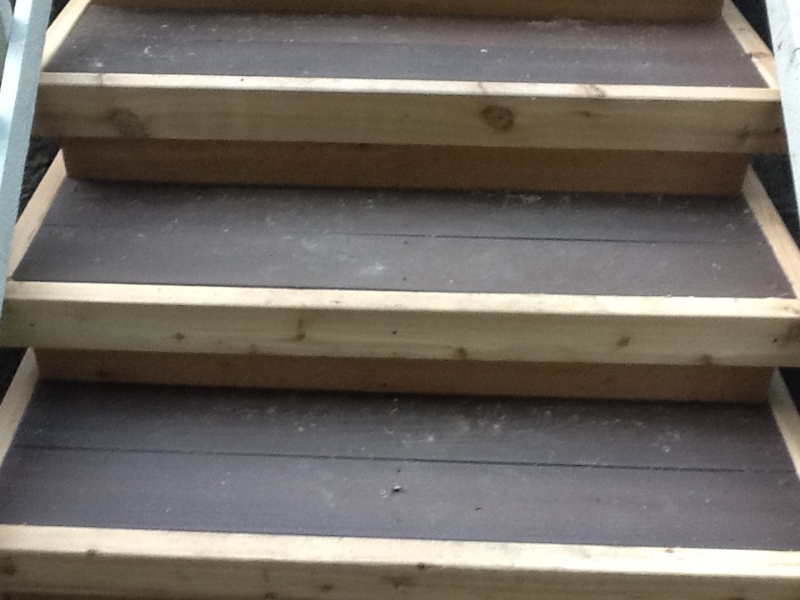 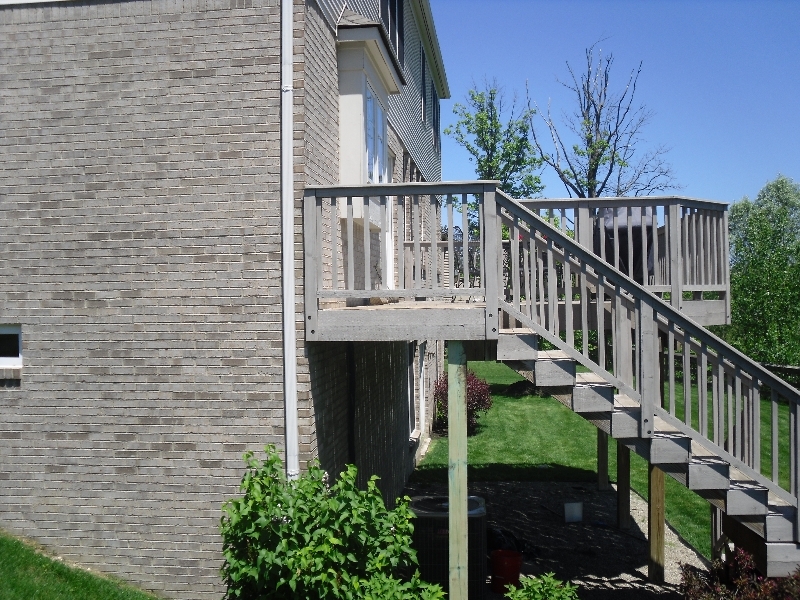 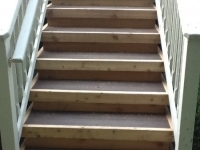 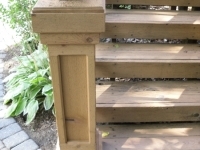 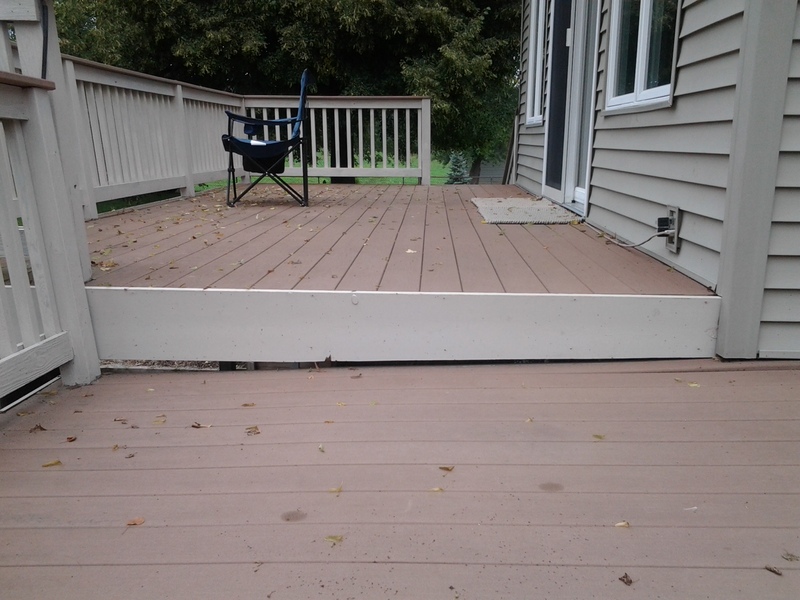 Meaning we offer deck repair, deck leveling, board replacement, and king post repair services. The last few years we have seen a record number of heaving decks. 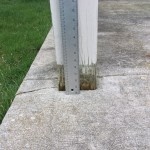 Most of the time we find the post go only a foot into the ground. 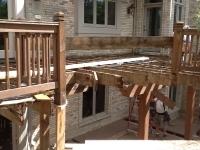 We can repair everything on your deck from a single rotted cedar board to under-structure work that was not built to code. 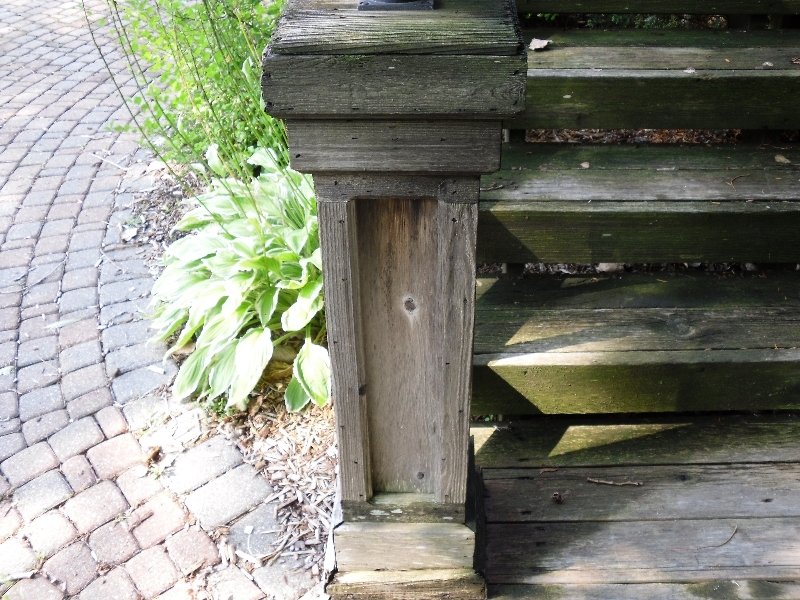 We have seen it all. Decks need to be built a certain way to meet city building codes. 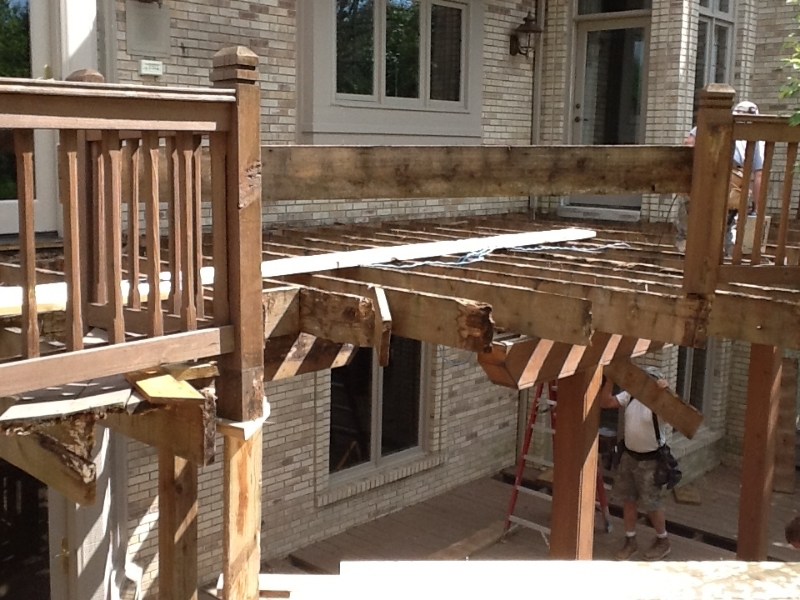 We carry the appropriate insurance for construction work. Most people think that their deck is sinking when it becomes off level. However, in truth we find that the outer posts typically rise or heave from the frost or deep freeze from Michigan winters. Once the post pushes out of the ground it needs to be cut down. 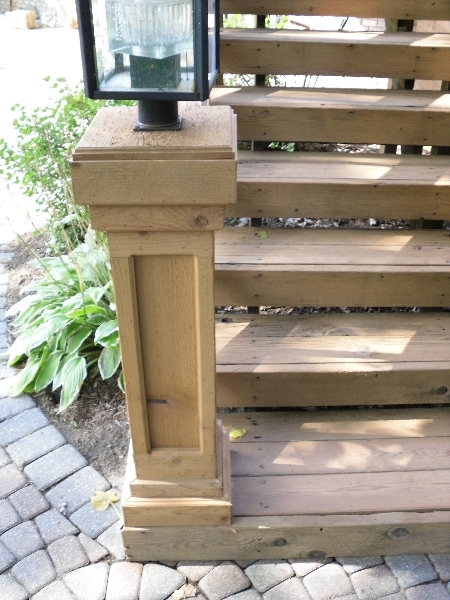 There are a few ways to do this or replace the post. 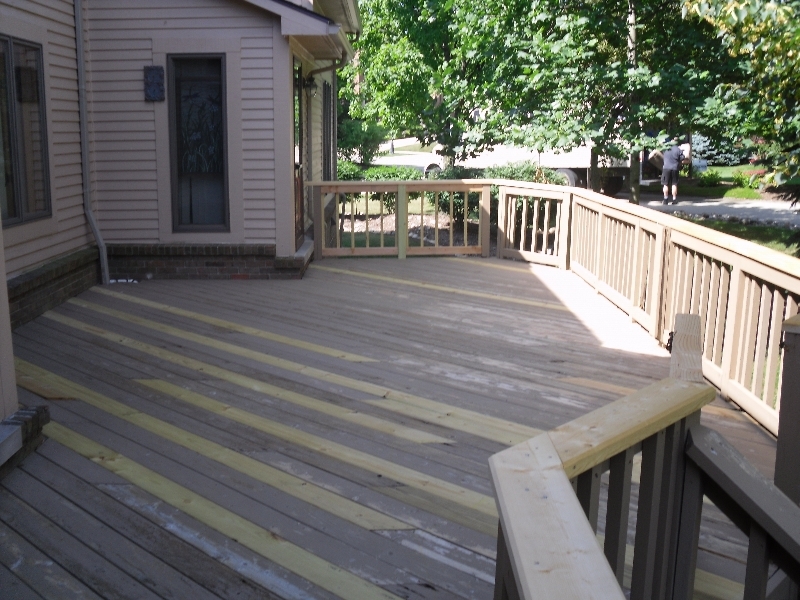 Many unlicensed “deck builders or contractors” and homeowners try to tackle deck construction without the knowledge of city or state codes. 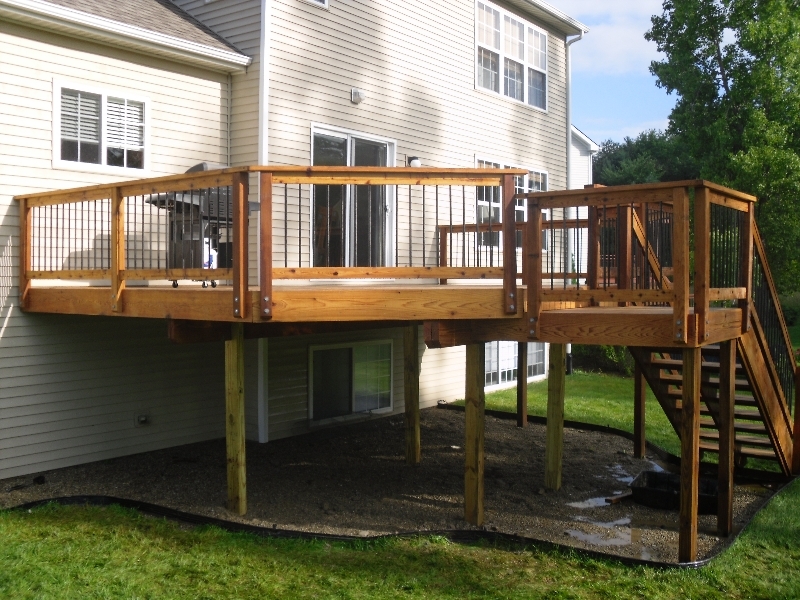 We see board span over 2 feet, deck posts only 24″ deep, cedar used as main deck support posts, nails used where bolts should be, pine lumber for the rails, common nails on the decking, and beams that hold up the deck to small. 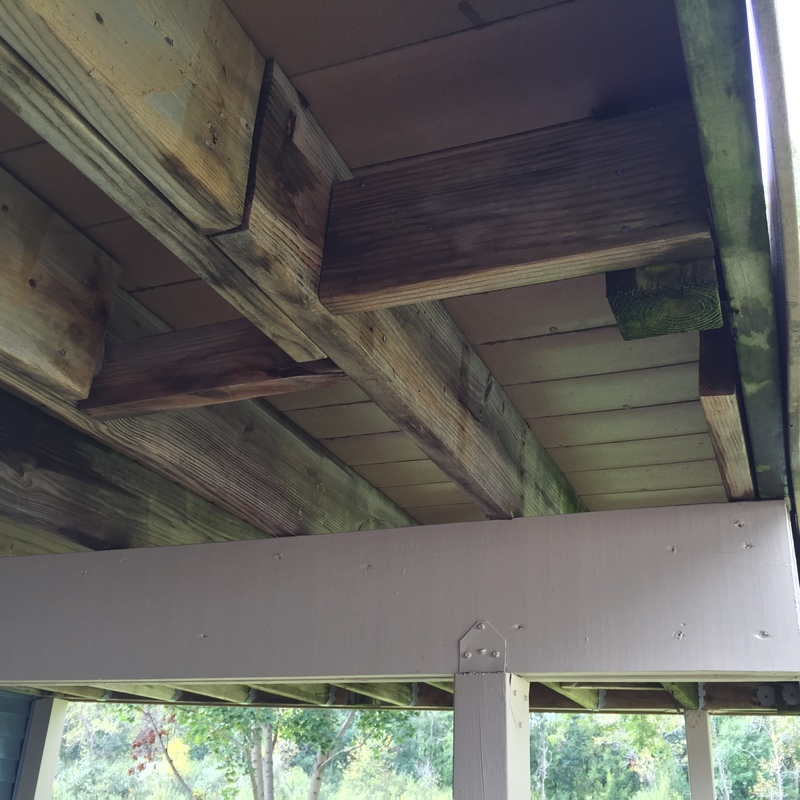 It is hard to find a building company that will come out for a few rotted boards or rotted poles that support the deck. 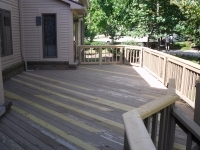 If you purchased a new home and are uncertain if it is to code, we will gladly inspect the deck and give you a quote on correcting any problems or just a simple deck cleaning estimate. 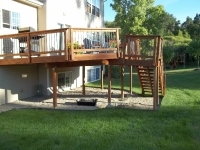 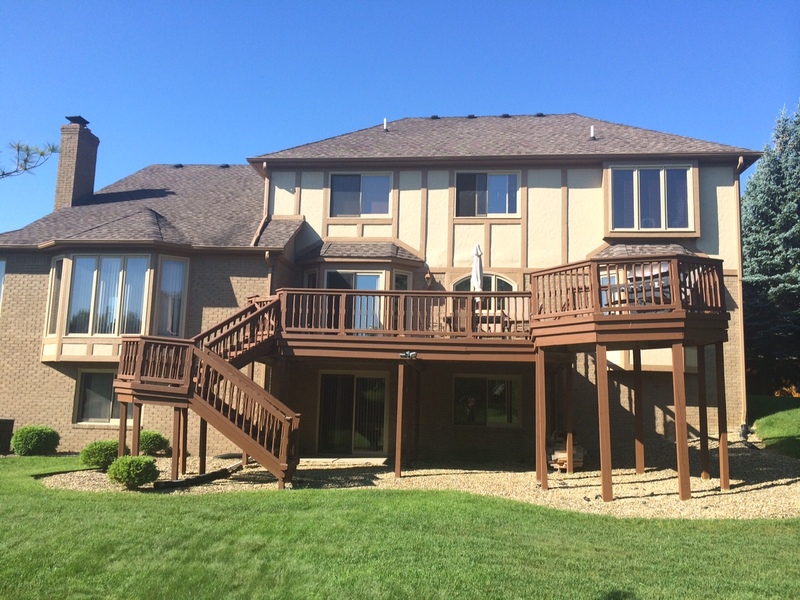 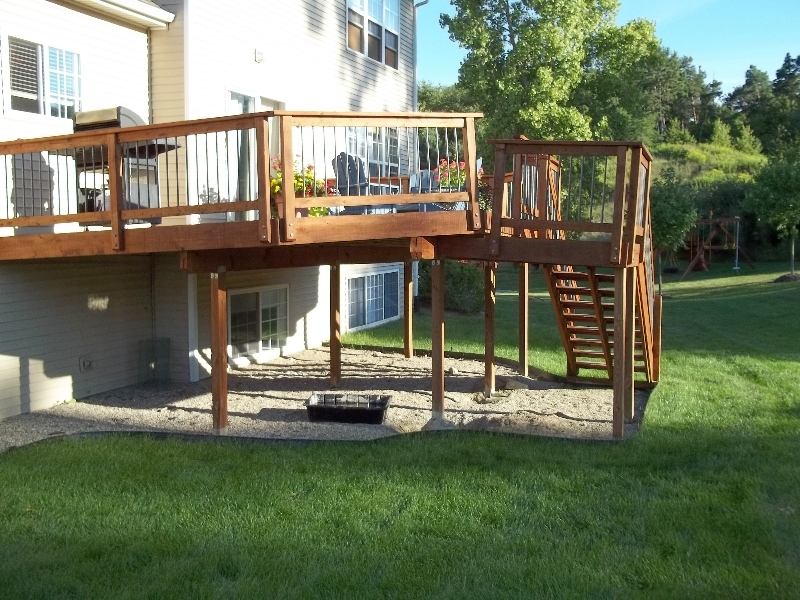 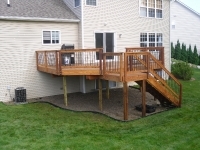 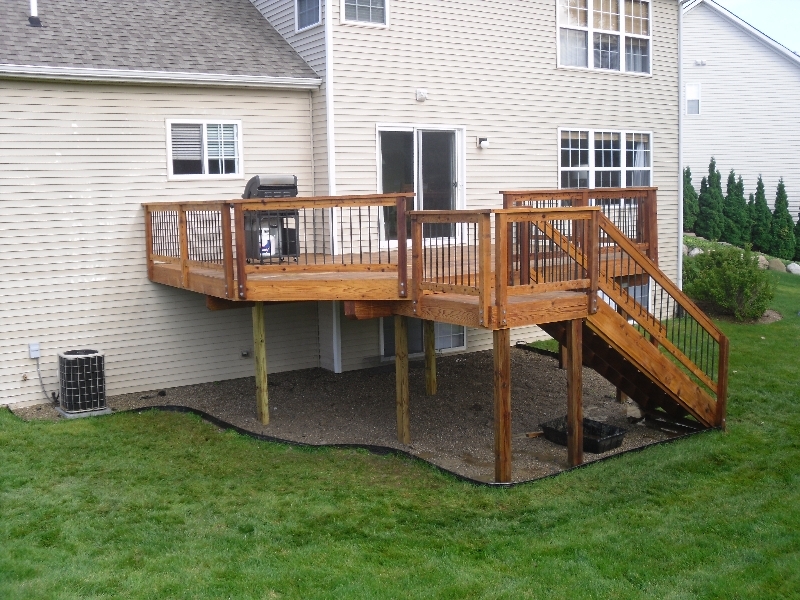 We are a Licensed Michigan Deck Builder that offers handyman repair work. 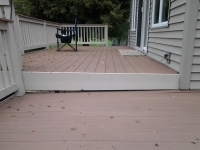 The pictures below are a small sample of Michigan decks we see on a yearly basis. 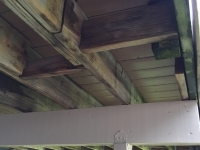 We can come out for an estimate for an insurance claim. 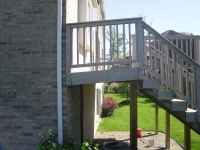 We have worked with all the major insurance companies. Code requires in Michigan that most decks are free standing and can not be attached to the house. 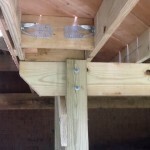 In cases where it has to be attached to the house, through bolts must be used.